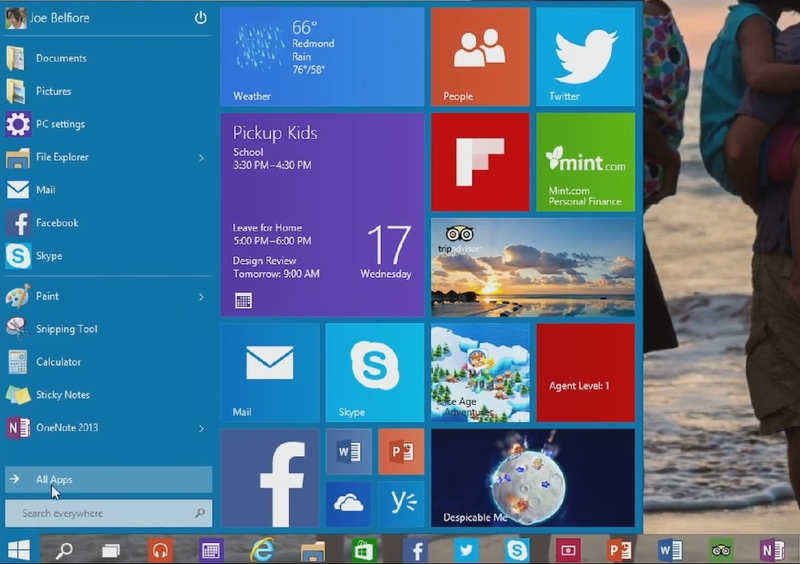 Microsoft surprisingly announced Windows 10 totally skipping the 9th version. Technically windows 8.1 is a stand alone windows so that could be counted as 9 but oh well. Any way, my opinion on why Microsoft made the decision to drop the 9th version name and jump straight to 10; Corporate market. But before I get into that I would like to bring forward my two main reasons to upgrade. Resources usage: I had XP for God knows how long before upgrading to 7 skipping Vista (Well I tested it but nothing serious). When I upgraded to 8 I noticed increased performance and smoothness in games. And since my main usage of the PC is gaming (I know I sound stupid but it is what is its) I welcomed the upgrade with open arms. Now will the same apply to Windows 10? I am yet to discover. Compatibility: Software and games. Drivers seems to auto load and games and software that I have all supported. Nothing to complain about. Now why did Windows 8 do so horrible or should I say not as expected on the corp side? Ignorance and touch phobia. See, Microsoft made a huge and stupid mistake of auto loading the touch interface with every restart and that scared the corps away. The problem with most corp including our own is that they fear change, especially when the current setup is working fine. The removal of the Start button was another disaster which angered me personally for about 3 days and then I moved on with my life worrying about other stuff. Corps didn’t like that hence another reason to hate Windows 8. Another valid reasons is that some legacy software is not compatible with Windows 8. In-house software development wasn’t big on 8 and so we never moved. Now did Microsoft do the right thing jumping to 10 to further itself away from 8 as much as possible? My answer is yes and no. Yes for the corps that know nothing but counting and 10 seems further than 9 so they might give it a chance especially that the Start button is returning. No, as hatters gonna hate. Many may see 10 slimier to 8 and skip it all together regardless. At the end of the day, companies upgrade and will have to jump to the next thing as support ends for older windows so we will see how things play out. My concern; make it as smooth and less system demanding and I’m sold. Let me know what ya all think. Adam signing off.